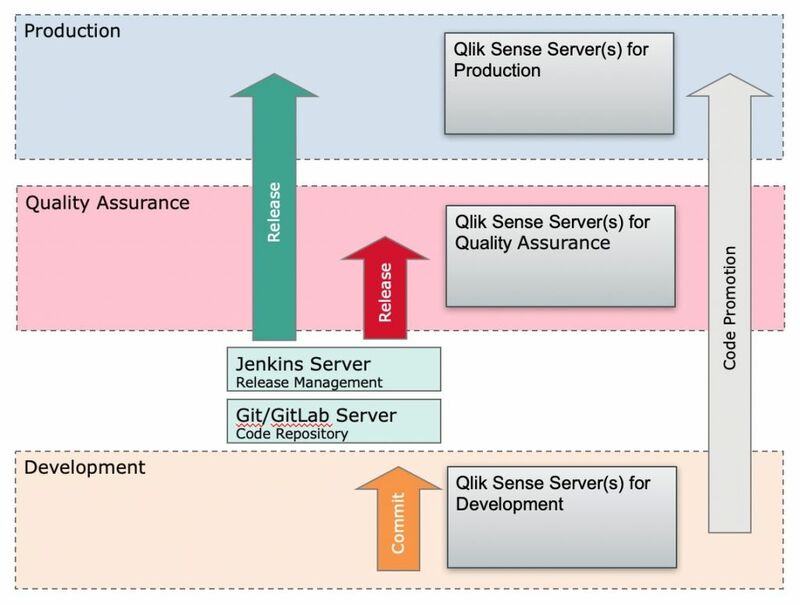 Do you have multiple developers and multiple sites in your Qlik Sense deployment? Then you need Version Control and Sync for Qlik Sense. This is a robust and elegant solution for managing Qlik Sense source code without ever leaving Qlik for committing new versions. Our customers are able to save time and money when deploying Version Control and Sync, because less time is spent quality testing and more time can be spent on development. Many industries, such as banking, Pharma and Governments require version control by law and Version Control and Sync is tested and compliant to fulfil these challenging requirements. Intergrates Qlik Sense with Git to keep versions of Qlik Sense Apps. Use GitLab or Bitbucket to check Blame, Diff and manage versions. Moving Qlik Apps between Test and Production is tedious. Our solution enables apps to be pushed from Test > QA > Productions. Supports single to multi sites. To check Quality of new releases, it is possible to create a unit testing environment that auto Passes or Fails the new release. This solution integrates with Release Management software such a Jenkins to enable easy release management and unit testing. The release procedure can be managed or continues. Version Control and Sync is built on validated industry standard technologies and on best practices for development and deployment in a Qlik Sense environment. It is designed to work both on enterprise level and department level, and it has a number of possibilities for customization in the work flow. Each new Qlik Sense release is tested and validated by our product support team. Our clients receive the validation report to ensure that Version Control and Sync is compliant with the latest release from Qlik Sense. If a bug is found, it is fixed and we help implement it as part of the subscription. This is a crucial component because Qlik releases 5 versions each year and you need to be certain nothing breaks. Version Control and Sync is available on a subscription basis, that depends on the complexity of your environment. We can tailor and customize the code management processes to fit specific needs, please contact us for a quote.